FAMILY: Dr Pratap Kumar Pradhan (Father), Dr Jyosnamayee Nayak (Mother). HOME ADDRESS: Sahid Nagar, Bhubaneswar, Odisha. TELEPHONE NO: 09178199908 (Mobile), 0674-2546216 (Res). ACADEMIC QUALIFICATION: Completed his Post Graduation in Mass Communication at Utkal University in 2014. RECEIVED COACHING FROM: Ashok Deo, Subhransu Charan Sarangi, Ajay Nishank and Santosh Mallik. CAREER SPAN: Playing competitive tennis for many years. 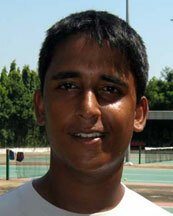 AMBITION: To represent India in tennis. * Finished runner-up in men’s singles event of the 5th All-Odisha Utkal Open Tennis Tournament, held at Kalinga Stadium, Bhubaneswar from Jan 5-7, 2018. * Won the men`s open singles title in the KDTA Odisha Open Tournament at Bhubaneswar Club in Bhubaneswar on Nov 11, 2012. * Finished men`s singles and doubles runners-up with Vijay Avinandan as partner in the KDTA Odisha Open Tournament at Bhubaneswar Club, Bhubaneswar on Nov 13, 2011. * Finished men`s doubles runners-up with partner Vijay Avinandan in the 11th All-Orissa Nalco Open Tennis Tournament at Kalinga Stadium, Bhubaneswar on Dec 13, 2009. * Asserted his supremacy as the No 1 tennis player of the state by winning men`s singles title and finishing runners-up in men`s doubles events of the KDTA Orissa Open Tennis Tournament at Bhubaneswar Club, Bhubaneswar on Nov 15, 2009. * Finished runner-up in singles event of the AITA-OTA Mens 50K Tennis Tournament, held at Gurukul Resort Tennis Complex, Mendhasal, Bhubaneswar from Feb 11-15, 2019. * Won the doubles title with partner Ansu Bhuyan in the Gurukul AITA-OTA Men’s 50K Tennis Tournament, held at Gurukul Resort, Mendhasal, Bhubaneswar from Dec 31, 2018 to Jan 4, 2019. * Won the singles title in the Gurukul AITA-OTA Men’s 50K Tennis Tournament, held at Gurukul Tennis Complex, Mendhasal, near Bhubaneswar from April 23-27, 2018. * Finished singles runner-up in the Gurukul AITA-OTA Men’s 50K Tennis Tournament, held at Gurukul Resort Tennis Complex, Mendhasal, Bhubaneswar from April 16-20, 2018. * Won the singles title in the AITA-OTA 50K Men’s Ranking Tennis Tournament, held at Gurukul Resort Tennis Complex, Mendhasal, near Bhubaneswar from Feb 5-9, 2018. * Won the singles title in the AITA-OTA 50K Men’s Ranking Tennis Tournament, held at KIIT International School in Bhubaneswar from Oct 19 to 23, 2015. * Finished runner-up after losing to former India No 1 Nitin Kirtane 2-6, 2-6 in the final of the AITA 50K Men`s Ranking Tennis Tournament at Pune on Oct 17, 2015. * Finished singles runner-up in the Rs 1.5 lakh CIRCAR AITA All-India Men`s Ranking Tennis Tournament at Town Hall Club in Kakinada (AP) on May 29, 2015. * Finished singles runner-up in the SAPL-AITA National Men Ranking (50K) Tournament at Vasant Vihar Club in Delhi on May 15, 2015. * Won the doubles title with Santosh Kumar Mallik and finished singles runner-up in the AITA Men’s 1 Lakh Prize-Money Tennis Tournament at Raipur in Chhattisgarh on May 1, 2015. 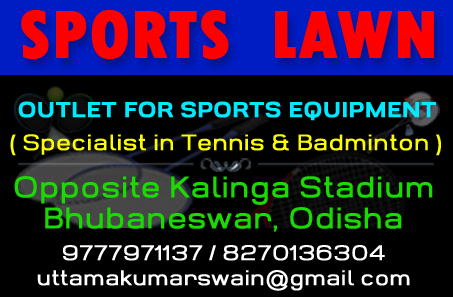 * Finished singles runner-up in the Falcon-AITA 50K Men`s Ranking Tennis Tournament, held at Kalinga Stadium, Bhubaneswar from March 3 to 7, 2014. * Finished singles runner-up in the AITA-OTA Men`s Ranking 30K Tennis Tournament at Gurukul Tennis Academy, Mendhasal, Bhubaneswar on July 21, 2013. * Became the first tennis player from Odisha to win an AITA men`s singles title at Gurukul Tennis Complex, Mendhasal, near Bhubaneswar, defeating Neeraj Choudhary in the final of the AITA-OTA 30K Men’s Ranking Tournament on May 3, 2013. * Finished singles runner-up and reached doubles semifinals in the AITA-OTA 30K Men`s Ranking Tournament at Gurukul Tennis Academy, Mendhashal, Bhubaneswar from Feb 11 to 17, 2012. * Won titles in many AITA Junior Circuit tournaments. * Reached singles second round and doubles semifinal (Devpriya Jaiswal as partner) in AITA Men’s Ranking Tournament at Patna on Oct 20, 2009. * Gained his first ATP ranking points by reaching second round of ITF Futures Tournament at Madurai (Tamil Nadu) on Sept 22, 2015. * KIIT University offered him a free MBA seat, while Odisha Tennis Association and Khurda District Tennis Association announced a sponsorship of Rs 1.5 lakh on July 23, 2016. 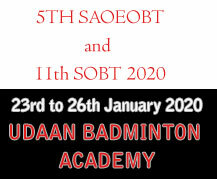 * Hi-Tech Group of Institutions on April 6, 2010 announced to sponsor him for a year to play tournaments at national and international level.